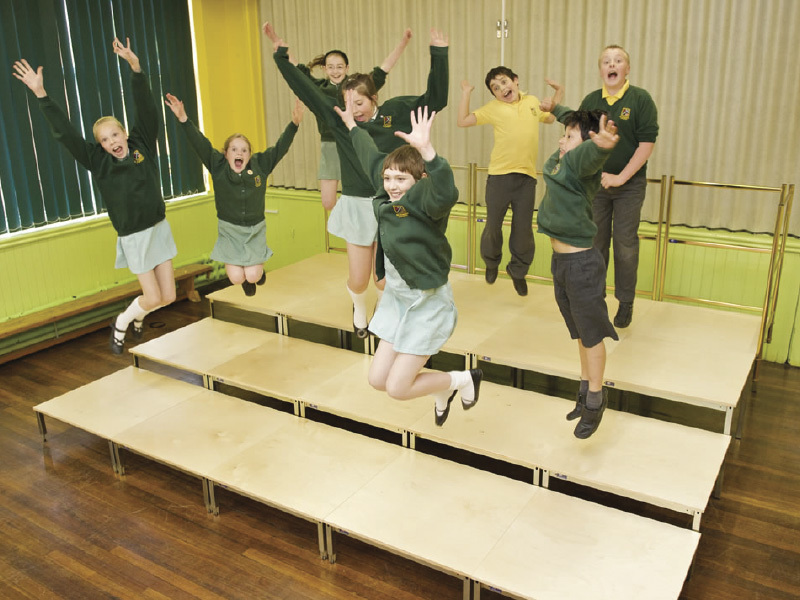 Unistage’s range of modular staging solutions is perfect for use in primary schools. 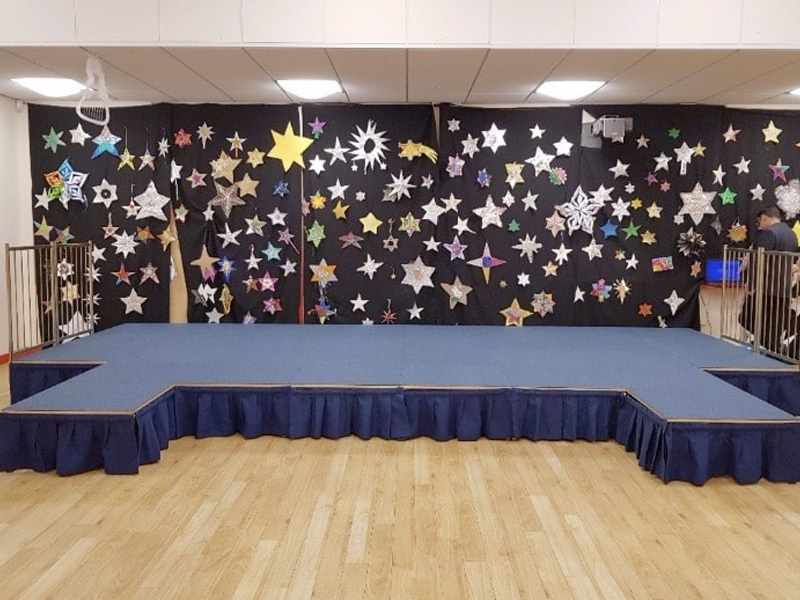 We’ve taken into account the specific needs of our primary school customers, which is why our staging is safe, secure, simple to assemble and cost-effective. 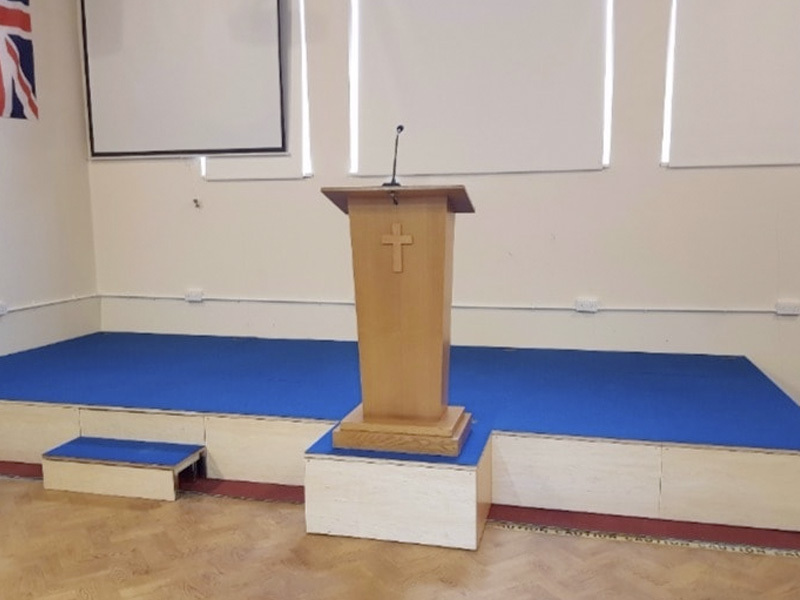 Ideal for assemblies, PE lessons, concerts and performances, our unique, customisable stage systems can transform your space. 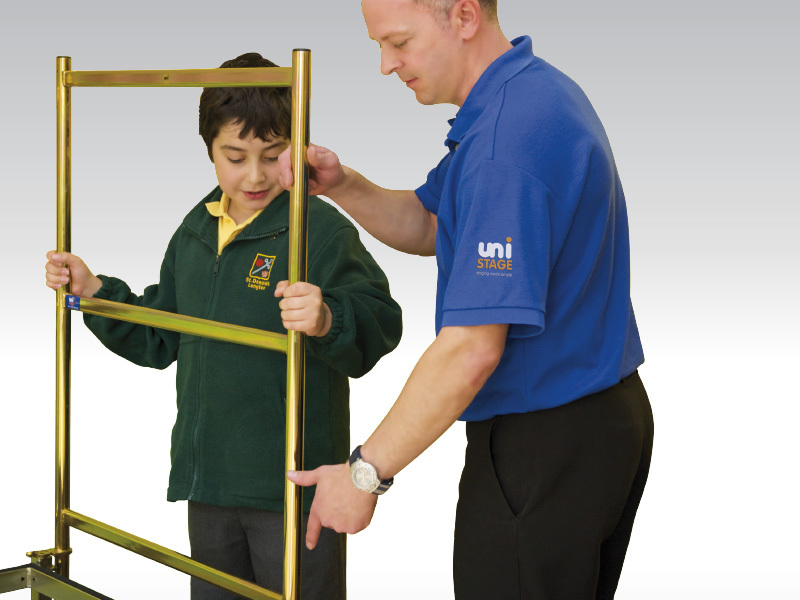 Unistage staging is easy to assemble, reconfigure and stack away when not in use, and the sturdy steel and birch ply construction is light enough even for little hands to lift it. 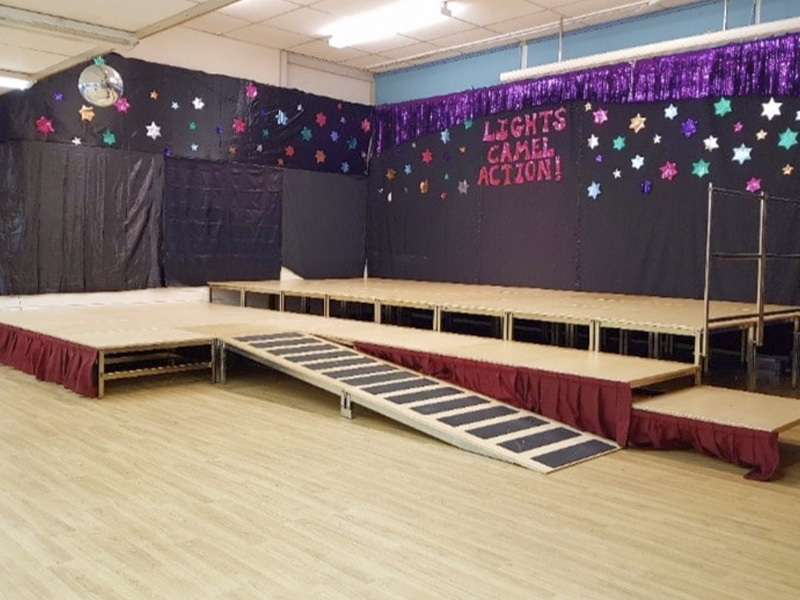 Unistage staging systems are a great way to help little people build big personalities: our flat and multi-level staging solutions are perfect for theatrical productions and presentations, and students can work together to create the space they need without any trouble at all. 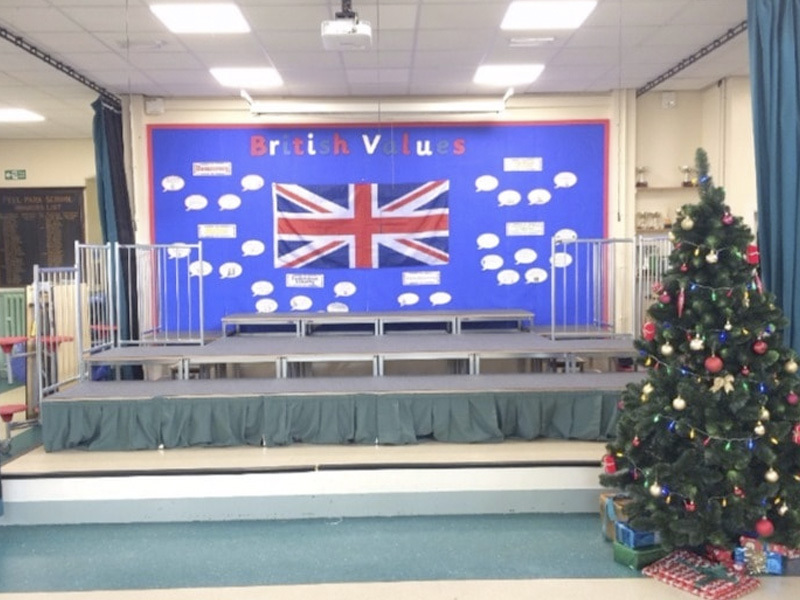 When it comes to primary school staging, we know that you need a product that offers great long-term value, serves a purpose makes a difference to the daily lives of staff and pupils. There are several different portable staging options out there, but here at Unistage, our team of design experts work hard to create superior solutions. Our unique modular stage systems can transform your hall or gym in hundreds of different ways, offering you great value for money from a single, flexible solution. 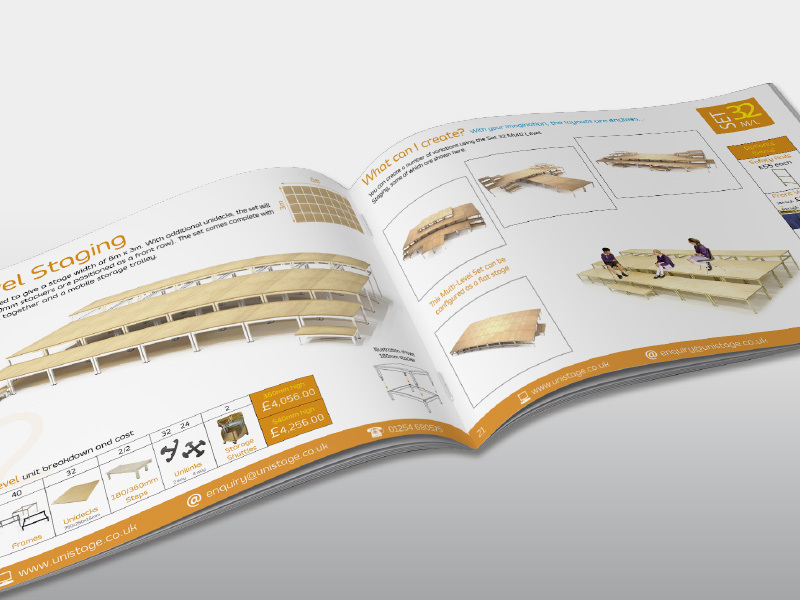 Our staging solutions can also help to bring in extra funding for schools: assembly halls with an easy-to-assemble modular stage can make an attractive venue for community groups, theatre companies, orchestras and choirs. Completely customisable, our stage systems can transform even the smallest space and stack away neatly when you’re done.